One of our fabulous communities will suit your apartment home needs. Wilton has several different communities for you to choose from that include one, two and three bedroom townhomes or one, two, and three bedroom garden apartments. 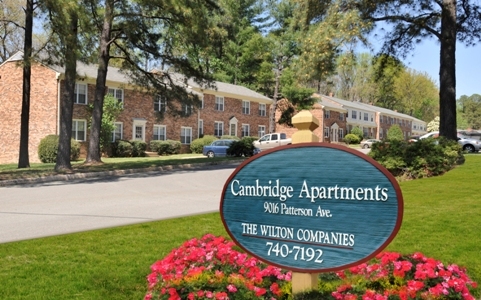 The Wilton Companies provides a complete rental management department including leasing, management and maintenance services that are second to none for all of our apartment communities in Virginia and North Carolina.